View battery data. Victron MPPT controller control. The MPPT control: This allows you to view the operating status and configuration of the MPPT controller to which it is connected via VE.Direct communication. 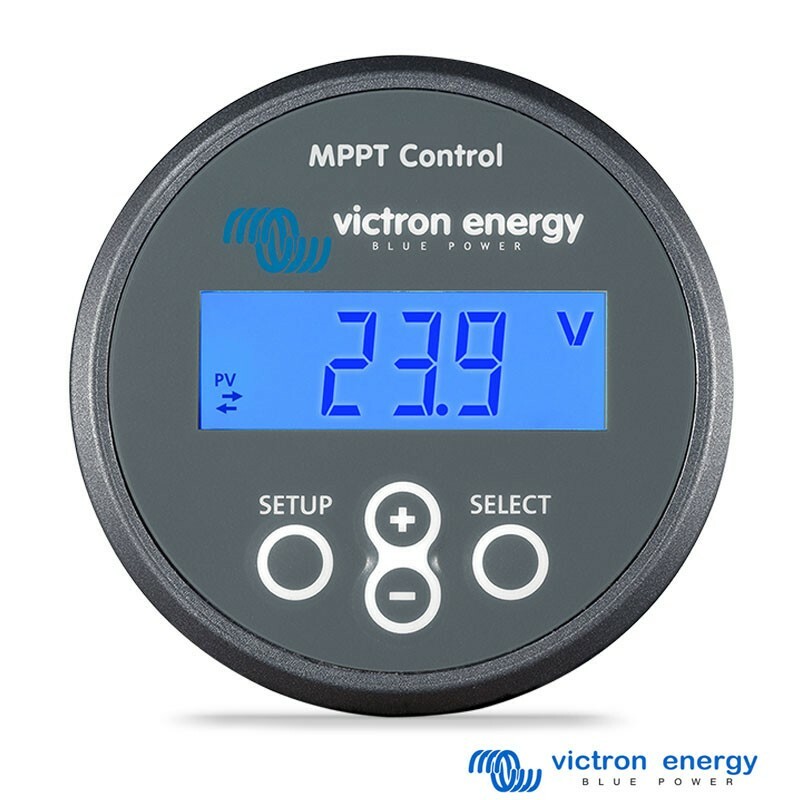 This Victron MPPT controller controller is mounted in a compact module equipped with a backlit display reminiscent of the BMV 700. The MPPT control initially displays a real-time view of the most important values ​​such as the instantaneous power of the solar panel (s), the daily output, the voltage and the intensity of the elements, and the state of charge. In addition to real-time information, the MPPT control can display recorded data over a period of 30 days, including minimum and maximum values ​​from solar panels and batteries. Other important information can also be analyzed as the duration of the charging phases: bulk, absorption and float. The MPPT control allows the configuration of your controller, you can restore the factory settings or customize them according to the type and specificities of your battery bank. All this without the need for a PC. - View information in real time. - View recorded information over a range of 30 days. - Configure your MPPT controller without using a computer. - Compatibility: all Victron MPPT controllers equipped with a VE.Direct plug except the 70/15 model that is no longer sold (replaced by 75/15). 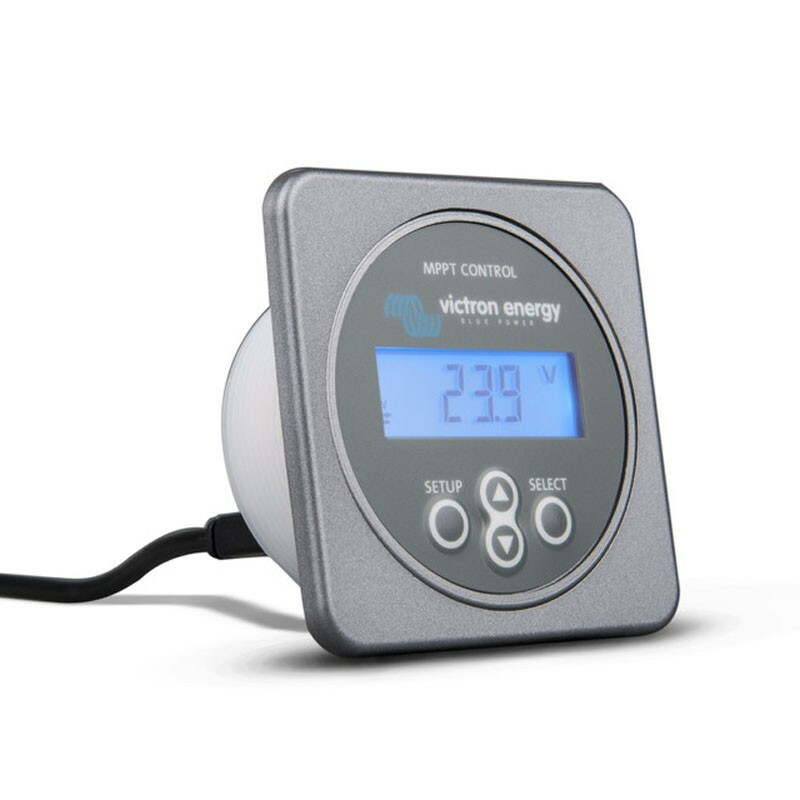 Connect the MPPT Control to the MPPT BlueSolar Charge Controller with a VE.Direct cable. Note that this cable is not included and must be purchased separately.